This is the start of my series called “Mini MM” which stands for Mini Materia Medica. Materia Medica is a collection of remedies and in this case, herbal information. 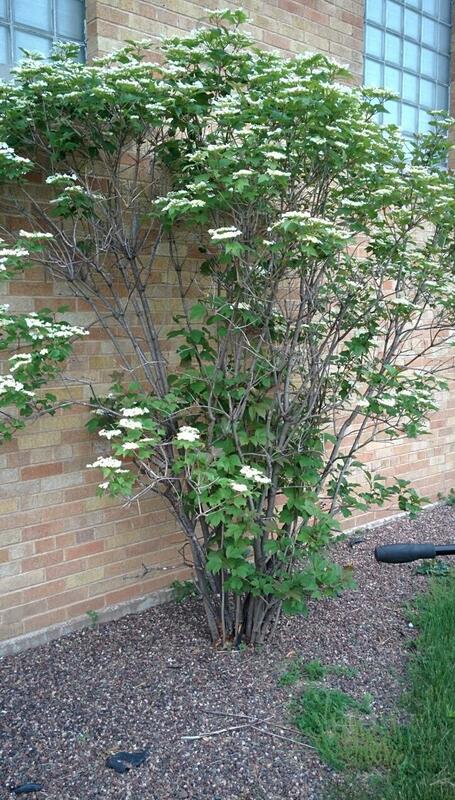 Crampbark is a common ornamental shrub in my neck of the woods – Wisconsin. After years of seeing it living in landscaped lawns, I considered it very domesticated and only a common fixture in the landscape. When I was introduced to it as a valuable medicinal plant I started seeing other landscaping ornamental plants in a new light. The fruits are edible and the bark is used for herbal remedies usually in the form of tea or tincture. Other common names are: Highbush cranberry, American cranberry bush, guelder-rose, mooseberry, and many others. The latin name is sometimes seen as this: Viburnum opulus subsp. trilobum)There’s also a very similar European cranberry bush that has more bitter berries than the American variety (I haven’t had the opportunity, yet, to compare the two). The latin name is Viburnum opulus subsp. opulus. Confusing? Yes! check below as I describe the one characteristic that’s used to delineate these two. It’s not a true cranberry. Okay, hold on to your hats, I’m about to go on a plant family naming adventure. It’s classified in the Adoxaceae family, (commonly known as moschatel family), but crampbark use to be in the Caprifoliaceae family (also known as the honeysuckle family). Real cranberries are in the Ericaceae family (also known as the heath family). 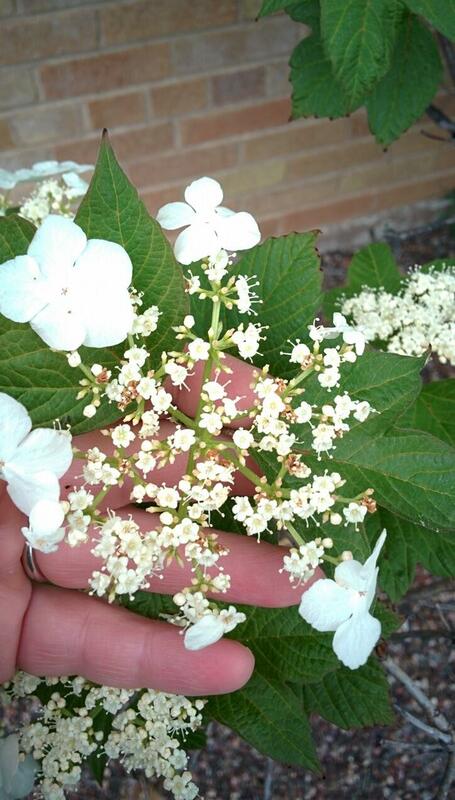 Many other Viburnums look similar to each other so take care in learning how to identify this one. The glands of the European Highbush Cranberry (or you can think of it as European crampbark) has concave glands. I think they look like ears. 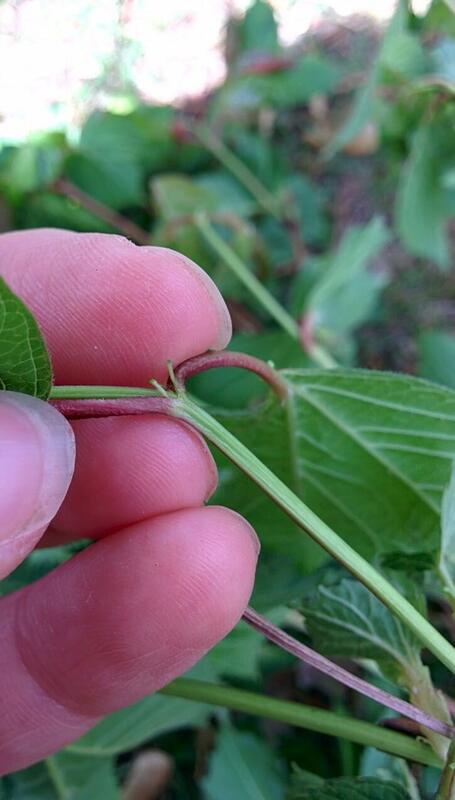 American crampbark, the petiole has glands that are more club shaped (rounder at the tip). 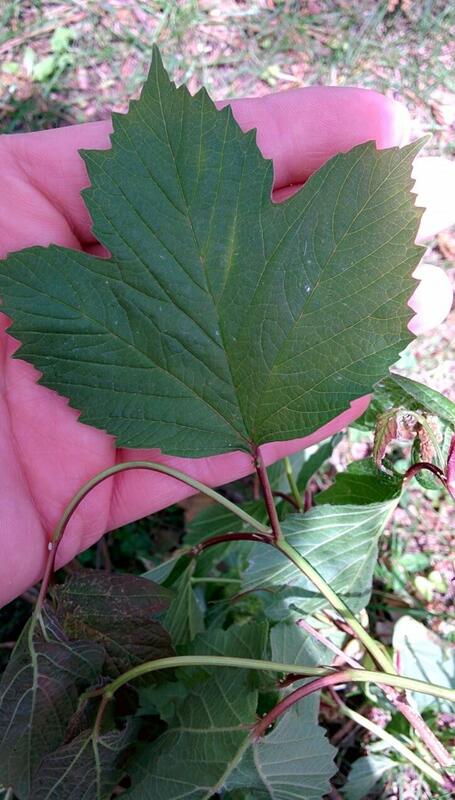 Simple, lobed leaf – 3 points and 2 sinuses. 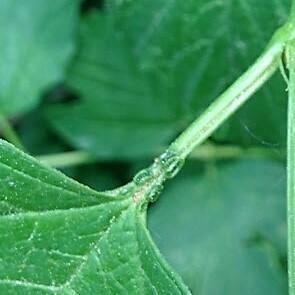 fang like structures at the base of the leaf stalk. In botany terms. 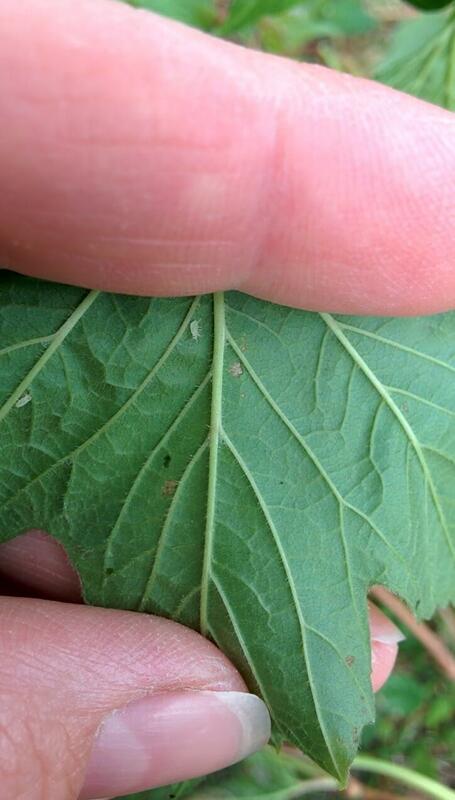 Stipules found at the base of the petiole. The cluster of flowers (inflorescence) is white. 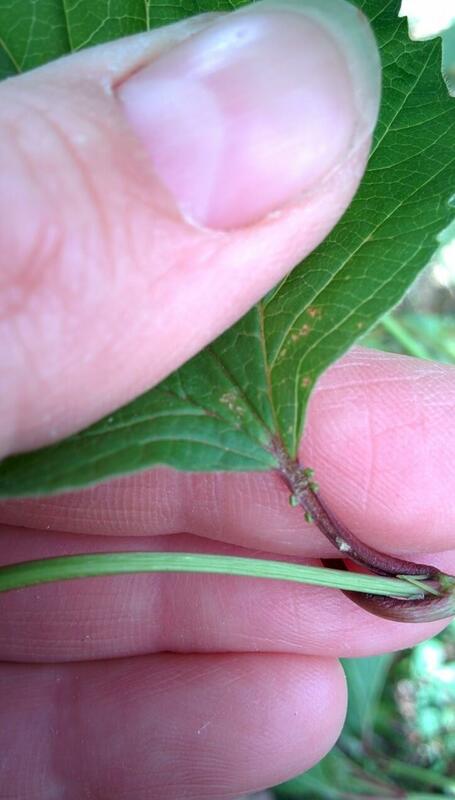 Outer ring has sterile flowers with big petals. Inner flowers are fertile (can make berries) and do not have big white petals. 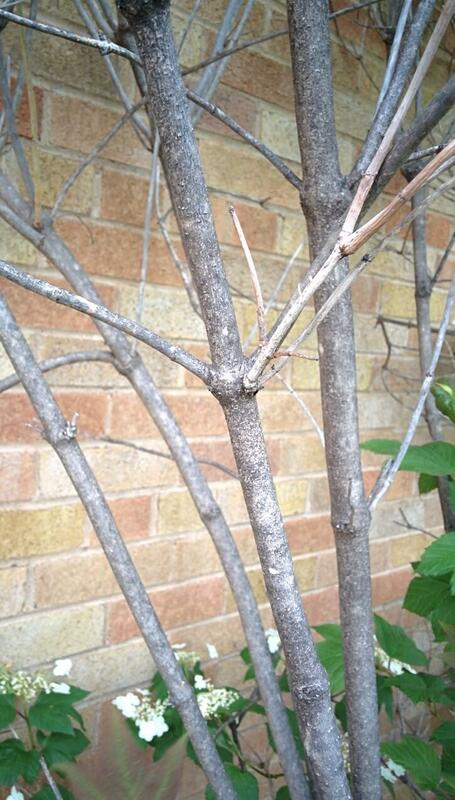 Cramp bark is planted as an ornamental shrub in many landscape designs. Rosemary Gladstar, Herbal Recipes for Vibrant Health.